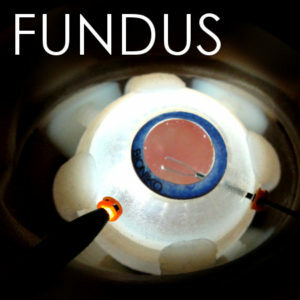 FUNDUS is an innovative model for Vitreoretinal training and simulation. It features a photo-realistic model of the central retina, a crystal clear optical element with realistic optical power and a flexible pars plana that allows surgical intervention with real blades and trocars. Its modular design allows peelable coatings to be applied to the retina (ILM COAT), adding vitreous substitutes for core vitrectomy exercises, and insertion of foreign bodies to create a variety of training scenarios.